A clogged sewer line can lead to disgusting backups that no homeowner wants to deal with. While residential sewer systems are, fortunately, pretty reliable, clogs do happen, and they can cause significant damage. Your sewer line is responsible for removing waste products and water from your home in a sanitary manner, and when a blockage prevents it from doing so, the result can be devastating. At G.T. Campbell Plumbing, our plumbers in Canandaigua NY are here when you’re in need of sewer cleaning in Canandaigua NY. Whether you have a complete blockage and sewage backing up into your home or you’ve just noticed that water seems to be draining more slowly than usual, we can help! Tree roots, grease and foreign objects can all end up in your sewer line and cause a blockage. 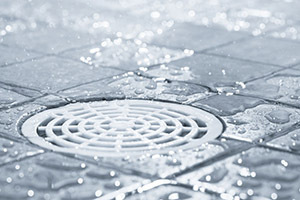 These blockages prevent water and waste from flowing away from your property as it should, and when the blockage is severe, the waste could back up into your basement or crawl space. A sewage backup is an emergency situation, and you should never attempt to solve the problem on your own. Raw sewage is hazardous, and it’s imperative that you do not come in contact with it without the proper safety equipment. At G.T. Campbell Plumbing, we are equipped to handle and sewer clog regardless of the severity. When you choose us for the job, we’ll respond quickly and assess the situation to determine the best course of action. We employ a safe, clean sewer cleaning technique that destroys clogs without damaging your pipes. When you need sewer cleaning in Canandaigua NY, depend on the experts right here at G.T. Campbell Plumbing. We all hope that we never have to deal with a plumbing disaster, but it helps to know that the assistance you need is just a phone call away. For Canandaigua sewer cleaning, call 585-548-0004 now.